In a departure from books today, I’m going to tell you a bit about an event I attended this afternoon at The Scottish Parliament as part of the Audacious Women Festival. Don’t worry, I’m not going all political on you! First of all what does that word audacious mean? I’ve always thought it had negative connotations as in ‘having the audacity to do something’ usually meaning having the cheek to do it. There are two meanings though. One is ‘showing an impudent lack of respect’ but the other is ‘showing a willingness to take surprisingly bold risks’. It is the second kind of audacity which is being explored at this festival. At this event, four Members of the Scottish Parliament, chaired by Geraldine Wooley from the Festival, talked a bit about audacious women who had inspired them. (Thanks to Sophie Castle for letting me use her photo of the panel above.) I’m a bit ashamed to say that I had only heard of one of their choices, although I had an excuse when it came to Rhoda Grant’s choice as you will see! First we heard from Alison Johnstone, an MSP for The Green Party representing Lothian. She told us about Wangari Maathai. 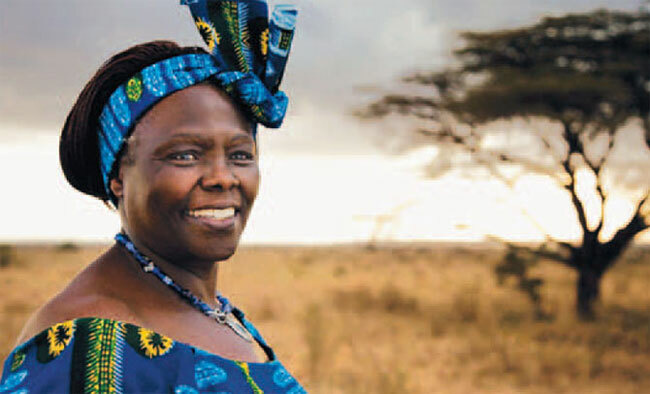 Wangari was a Kenyan environmental campaigner who among many firsts was the first African woman to win a Nobel Peace Prize and the first woman for whom a state funeral was held in Kenya. She worked tirelessly campaigning for women’s rights and environmental conservation. Her organisation, the Green Belt Movement, focused on planting trees and she was known as ‘Mama Trees’. She was jailed for standing up to the government and commercial organisations and refused to be submissive. Alison said she was audacious as she led by example and spoke up on issues that mattered. She inspired Alison to get out in the community, to get involved and be active. Next was Rhoda Grant, a Labour MSP representing Highlands and Islands. I don’t have a photo of her audacious woman as it is her granny, Catherine McCush (apologies if that’s spelled wrongly). Rhoda said that when she was little and asked what she wanted to be she said a granny! She hugely admired her granny who ruled the roost in a man’s world. She was married at 18 and moved with her husband and his four brothers far from her family, She had six children while living a nine mile walk, as it was in those days, from any medical assistance. She was a hard worker with a bad temper whose nickname behind her back was Fiery Kate. Rhoda said being called Kate would have annoyed her more than being called Fiery! Despite this, she saw humour in everything. She was audacious in seeing what needed done and just getting on with it. Rhoda pointed out that we are all shaped by the people who came before us who worked to create a better world, collectively building change. Those who make a difference aren’t always famous! She inspired Rhoda in showing that ordinary women can step up and make a difference in their communities. Jenny Gilruth, SNP MSP for Mid Fife and Glenrothes, chose Winnie Ewing as her audacious woman. 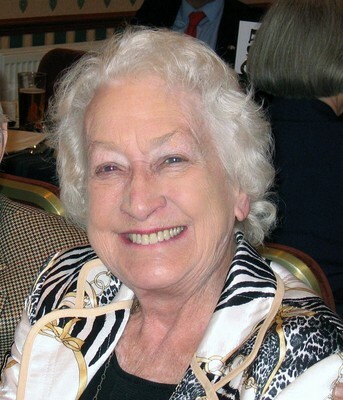 Winnie Ewing was elected as MP for Hamilton in 1967. Hamilton was considered a safe Labour seat and her victory was rather unexpected. At the time she was the only SNP Member of Parliament and was subject to a lot of misogynistic abuse. She was 100s of miles from her family with no political support so it was rather a lonely life. She had three young children and was a practising solicitor and the media focussed on her role as a mother and not her political achievements. Sometimes I wonder if we have made much progress! She was also an MEP known as Madame Ecosse and was Britain’s longest serving MEP. 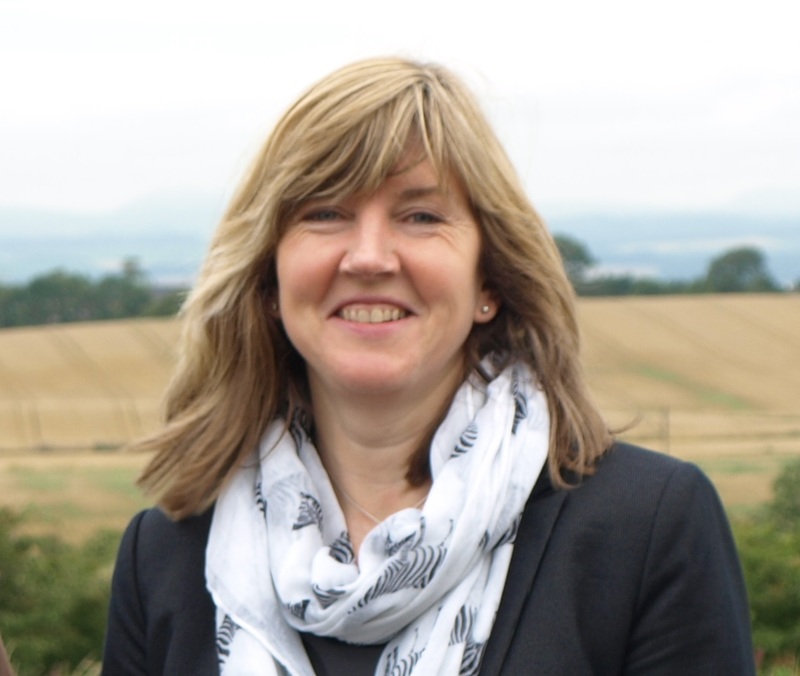 In 1999 she was elected MSP for Highlands and Islands in the first Session of the Scottish Parliament and as the oldest MSP presided over its opening. Jenny admires her as she challenged the political status quo in a very different political scene and made a difference to the perception of women politicians. Jenny was inspired by Winnie Ewing to find common ground with other politicians whatever their differences, to try speak to everyone on a human level. Last to speak was Annie Wells, Conservative MSP for Glasgow. She had chosen Mary Barbour as her audacious woman. Mary Barbour was a political activist, councillor and magistrate who was instrumental in organising the women who took part in the rent strike of 1915. Unscrupulous landlords were taking advantage of the need for accommodation in Glasgow during WW1 and were raising the rents. Thousands of women marched with ship workers to raise awareness of the issue. Annie finds her inspirational as she was from a normal working class background, just an ordinary woman who wanted to get things done and was so influential. She showed that it didn’t matter what your background is, if you want to make a change, you can take the steps to do it. Geraldine Wooley then asked those attending about audacious women who inspired them, saying she greatly admired early women explorers such as Gertrude Bell and Isabella Bird. She felt they displayed amazing courage travelling as lone women in a world with little communication as we know it today and in a world where often only men travelled. One of the audience said she admired Margaret Sievwright who was born in Pencaitland and emigrated to New Zealand in the 1870s. She became involved in the women’s suffragette movement which in 1893 saw New Zealand become only the second country in the world to give women to vote. She continued to work for women’s rights after this. Another audience member spoke of how we often focus on people who have done big things but that we should also look to our families to find audacious women. The small things done by people in our own families can inspire us in small ways. Even choosing to become a mother, perhaps giving up a career, could be seen to be audacious today. Another audience member recited a poem she had written, perhaps called ‘Broke the Mould’ which was about women who had changed the way we live today. It was a great way to end the session. Geraldine finished by reminding us that what can seem ordinary and everyday to someone can be audacious to someone else. Audacious acts are being carried out every day by audacious women in all walks of life. It was a most enjoyable and informative session and I’d like to thank the organisers. The Audacious Women Festival continues until Sunday and you can find out about the remaining events on the website Audacious Women. It really was especially finding out about these women I hadn’t heard of. Really enjoyed it though quite ashamed I hadn’t heard of anyone except Winnie Ewing! What a fantastic event to have attended. You have some really brilliant women within the Scottish Parliament (irrelevant of political leanings). I went to a mental health conference back in the autumn which was organised primarily by three women, the youngest 16 the oldest 24. Absolutely amazing what they pulled off and the people they got there. Reading this made me think of them and how audacious they are. Thanks it was great and I agree that there are some brilliant women in the Parliament. I even like the ones whose politics I don’t agree with! This sounded a very interesting event. I hadn’t heard of the festival until you highlighted it, so thanks! I’d like to get to the exhibition on the peace campaigners in the 1st WW before it ends. This sounds a really interesting and inspiring afternoon. Thank you and thanks again for letting me have your photo. I wasn’t sure if I was allowed to take any! Great and very inspiring post. I love Isabella Bird’s A Lady’s Life in the Rocky Mountains. It was also a favourite of my mother’s. Thank you Victoria. I’m afraid she was another of the audacious women I didn’t know! Super post Joanne, very interesting thank you for sharing.